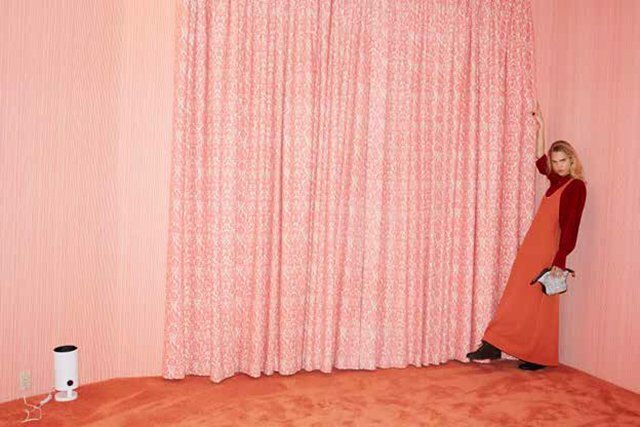 In addition to the Louis Vuitton Cruise 2016 Runway Bag Collection, Juergen Teller shot some new and exciting images to give us some sneak peak about the handbags. The new print (which we have already talked before), is the next level of luxury. The Crisscross lining, inspired by the Classic Luggage, has been embellished with studs between the crosses. These studs give a new and modernized appeal, as well as the 3D LV signature in silver or golden hardware. 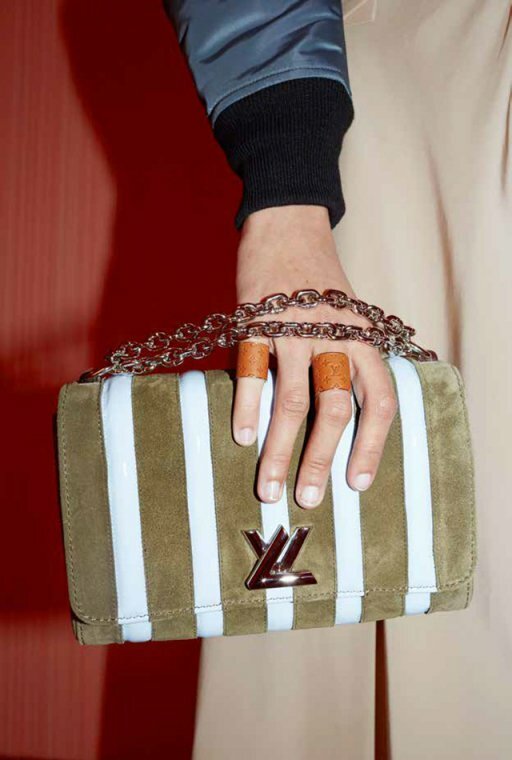 Get obsessed about the new Louis Vuitton Pochette Bag, because it’s beyond gorgeous. I am not sure what to say about this bag. It’s designed in tri-color – blue handles, black and white. It gives a sense of vintage, a bag from the 80’s or perhaps that’s what this Ad Campaign is trying to display. But I love the iconic LV locker in the center, as well as the luggage tag. The Louis Vuitton Petite Malle Shoulder Bag is determined to become the next iconic. And finally it’s also available in exotic leather, behold the croc version in orange-brown. The Petite Malle is like the tiny version of the Classic Luggage Bag. And you what we love the most, the Louis Vuitton backpack in Monogram Canvas and you know why? Because the size is pretty – it’s small and looks incredible hot on your back. Don’t belief us? 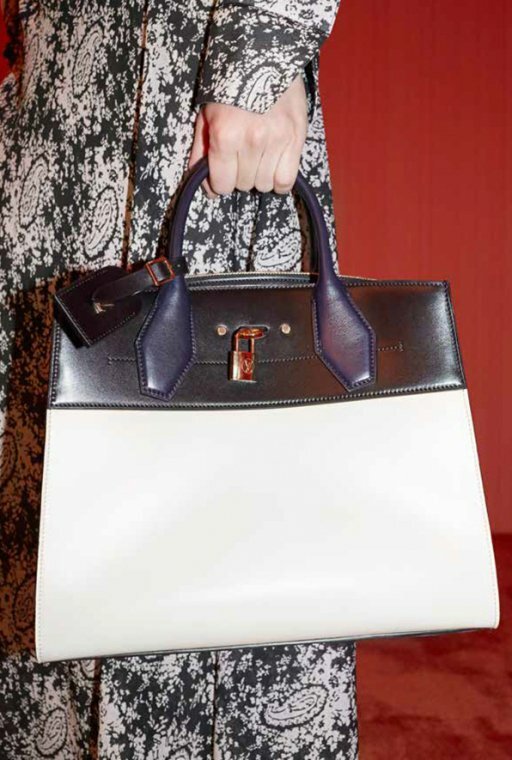 See more here: Louis Vuitton 2015 Runway Bag Collection.